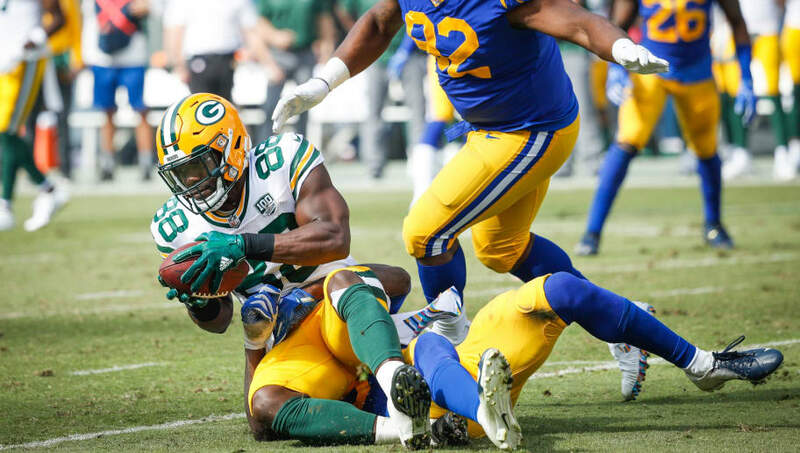 After an ​onslaught of criticism from his teammates, coaches and Packers fans, running back Ty Montgomery is out here ​trying to defend himself regarding his controversial decision to return a kickoff from the end zone after reportedly being specifically told to take a knee. Montgomery said he didn't disobey his coaches, and that he just wasn't sure if he was actually in the end zone and didn't want to risk taking a knee on the half-yard line. Well, bud, if you're a kick returner, you literally need to be aware of where you are. That's about half of the job. Secondly, the temper tantrum that Montgomery threw on the sidelines after being taken out for an offensive series certainly doesn't help his case when we're discussing obeying coaches' orders. It's really an unfortunate series of events. Montgomery ​​is now in a bad, bad place with Packers nation and the fans are acting totally irrationally over a game they had a slim chance of winning anyway. Regardless, none of this is a good look for the Packers running back. His actions on the field and on the sideline, coupled with this quote from one of his teammates, has only made him look worse throughout the entire situation. "They took him out (the previous drive) for a play and he slammed his helmet and threw a fit," one Packers player told NFL Network's Michael Silver. "Then (before the kickoff) they told him to take a knee, and he ran it out anyway. You know what that was? That was him saying, 'I'm gonna do me.' It's a f------ joke."